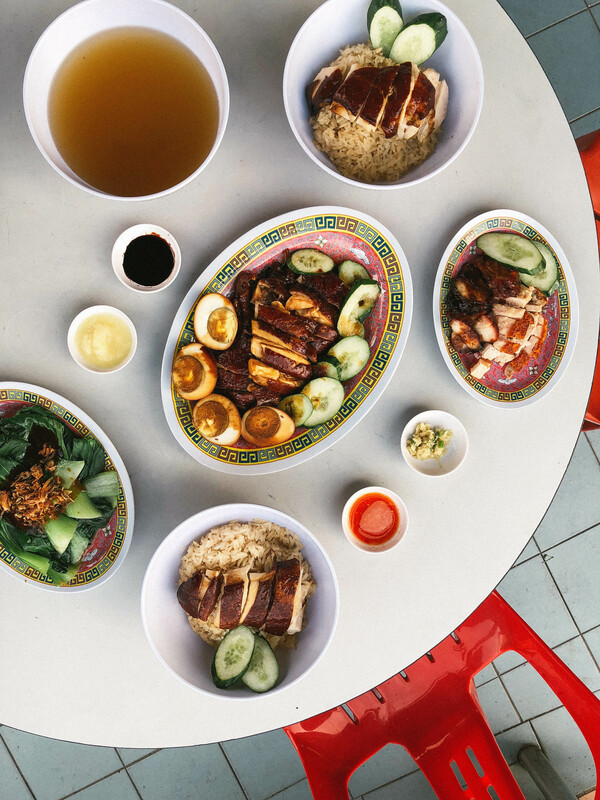 My go-to hawker food since I was young had always been chicken rice. I love chicken rice so much that even when I had chickenpox at age 5 or 6, I begged my grandmother to let me have it for lunch. Apparently, those infected with chickenpox can only eat hen meat instead of rooster meat. How true is this? I wouldn’t know. But I am always on the look out for good chicken rice, and was excited to try out Hai Kee Soy Sauce Chicken Rice, which has been touted as the ‘OG soy sauce chicken rice’. When I made the trip down to their Changi Road outlet recently, I was surprised to find out that it’s run by two young men. 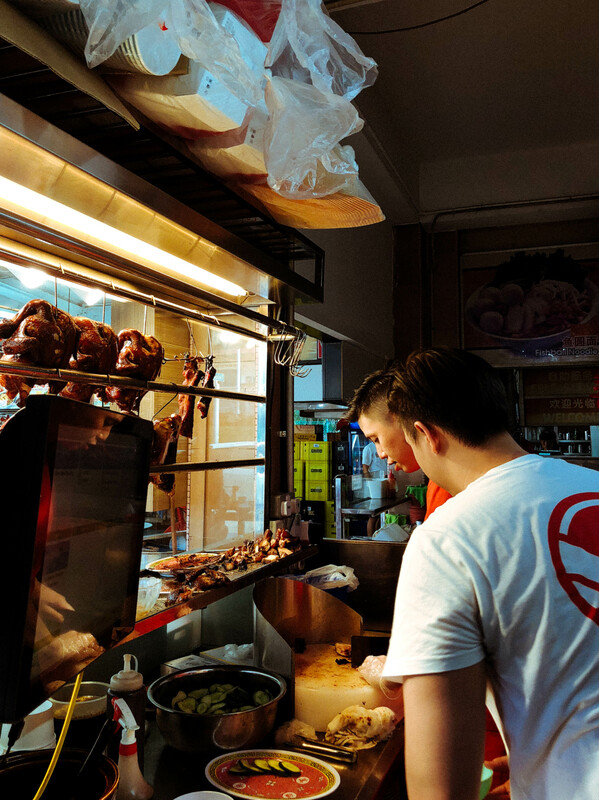 The Wang brothers, Joseph (27) and James (26), are third-generation hawkers. Older brother Joseph had taken over the business from his parents seven years ago. As I sat down with them, they recounted to me the story of their grandfather’s voyage from Hainan Island, who left his bun factory and sailed two weeks on a Chinese junk ship to Singapore. That’s how the name Hai Kee came about. It’s made up of Chinese characters that stood for “sea” and “remember”, which roughly translates to “remember the sea”. Their grandfather had gone to Yong Peng, a town in Batu Pahat, Malaysia; followed by Malacca, to impart his bun-making skills before moving back to Singapore. Here, he started selling steamed chicken rice on a bullock cart along Upper Cross Street. Later on, he realised that there weren’t many hawkers who sold soy sauce chicken rice. This prompted him to concoct his own soy sauce and serve his own rendition of this Hainanese dish. He found a stall at Upper Cross Street, and decided to share the kitchen with a fellow hawker. And together, they came to a mutual agreement to sell soy sauce chicken rice and noodles respectively so as to promote a “fair competition”. 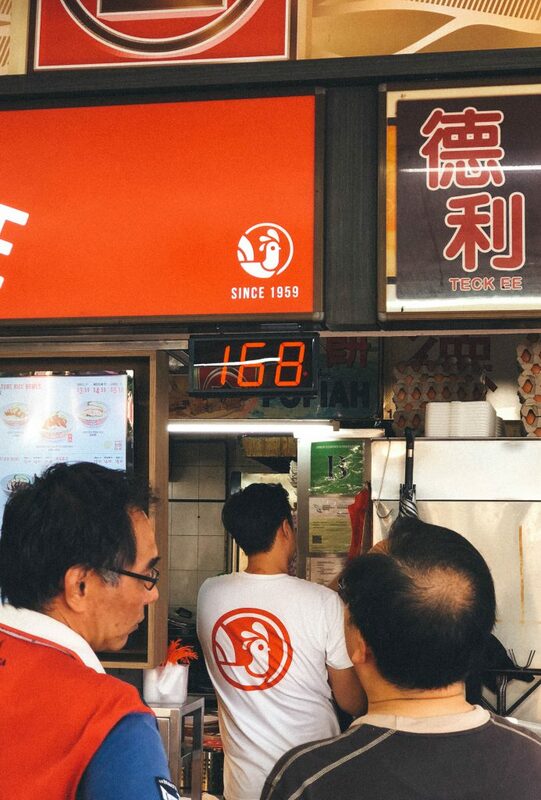 That was in 1959, so it has been almost 60 years since Hai Kee was established. Over the years, the business has been passed down from generation to generation. Like this young family business successor, Joseph started helping his father out since primary school, washing dishes and doing other menial chores after school for $15 a day. 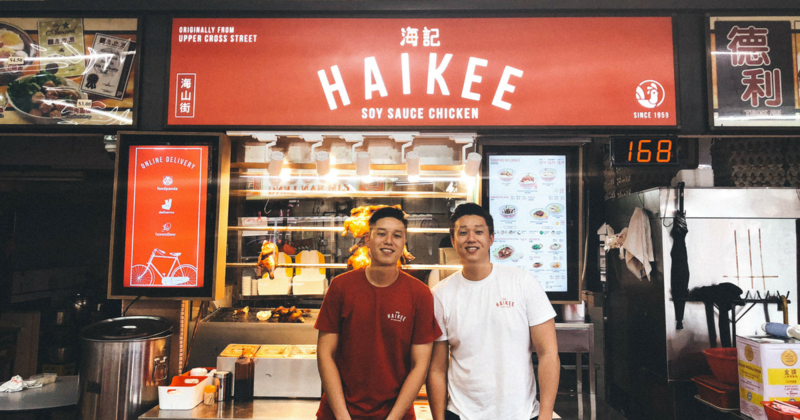 When asked why they chose to take over the reins as hawkers, both of them felt that it was “a waste” if none of them carried on the family business after all the effort their ancestors had put into it. After his grandmother’s passing, Joseph learned the ropes from his father and other stall helpers. And when he took over, he made sure to preserve the family’s legacy. 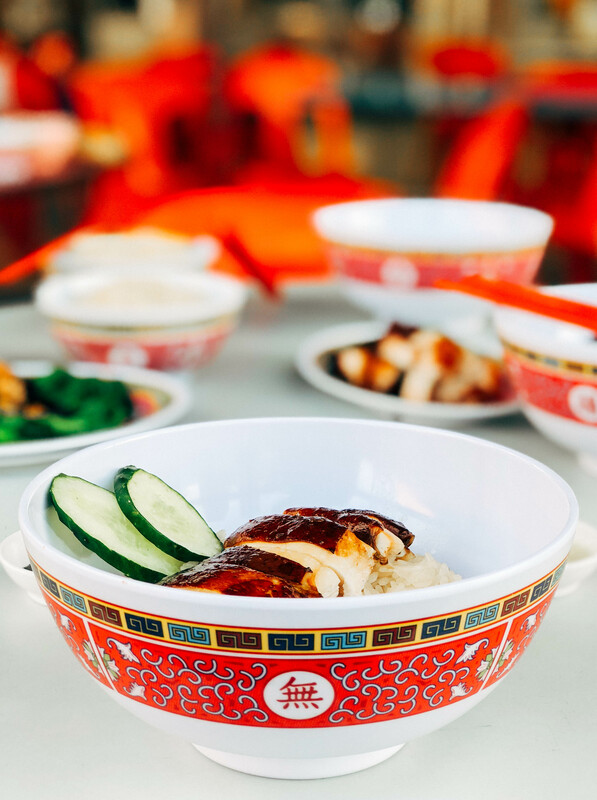 Since their grandfather’s time, Hai Kee served chicken rice in bowls, and their soy sauce chicken on a separate plate. But when Joseph and James’ father took over, he served it on plates instead as it was the norm then. And now, the brothers have reverted to using bowls to pay homage to their ancestry. 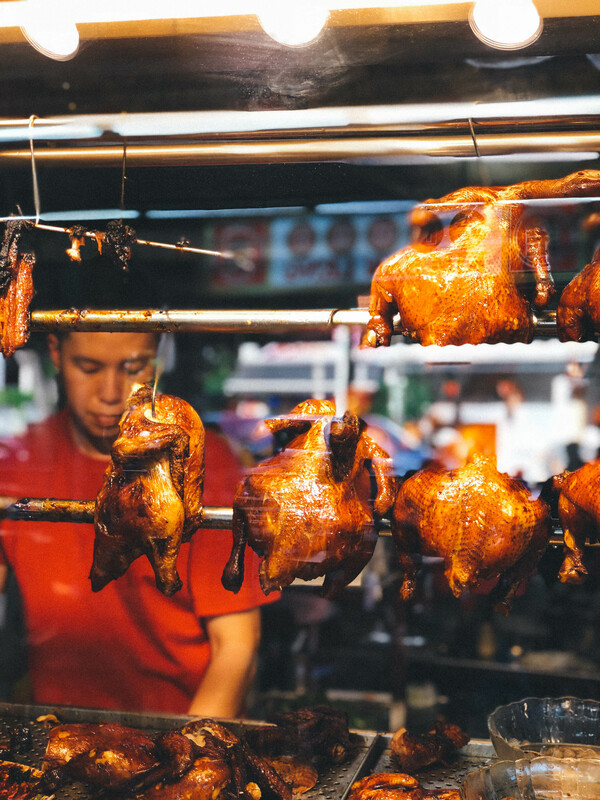 During the bird flu epidemic, Hai Kee, along with many other chicken rice establishments, were greatly affected. From owning a total of 12 stalls, Joseph and James’ father had to wind down 10 of them to cut financial losses. The bird flu epidemic caused a widespread fear of eating chicken. Our sales dropped tremendously and there wasn’t any backup plan, or enough working capital to sustain the loss during that period. “We shut doors in many locations to lower our losses. Despite assuring people that our chicken are safe for consumption, people were still afraid to consume it,” lamented James. It was a difficult time for the family, as they had to scrimp and save on household expenses to stretch every dollar. James even had to sign on with the Republic of Singapore Navy (RSN) to help alleviate the family’s finances. He earnestly revealed that during his five-year bond with the RSN, he would constantly think about his father’s chicken rice. The Wang brothers credited their mother’s support and their father’s “relentless effort” in upholding the Hai Kee brand during this tough time. 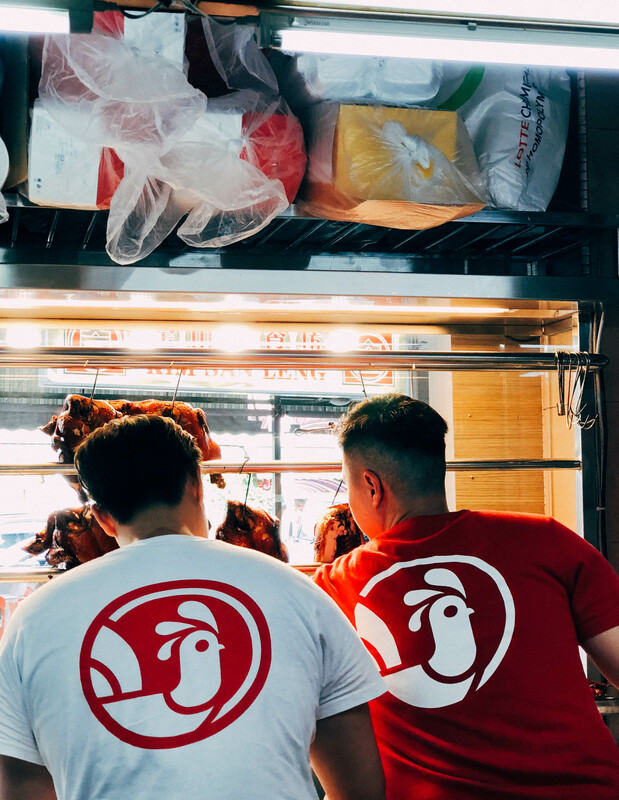 “Seeing a once-successful brand closing down because of an unforeseen pandemic made us realise how precious this bowl of chicken rice has enabled my family to have food on our table and a roof on our heads,” James reflected. When asked if they have ever thought twice about their career choice, both of them said they have never felt regretful for not taking on ‘glamourous’ jobs instead. In fact, most of their peers are very supportive of what they do and constantly encourage them in their entrepreneurial journey. But if their roles were to be reversed, Joseph is certain that his friends wouldn’t trade their current cushy jobs to be a hawker, he said with a hearty laugh. 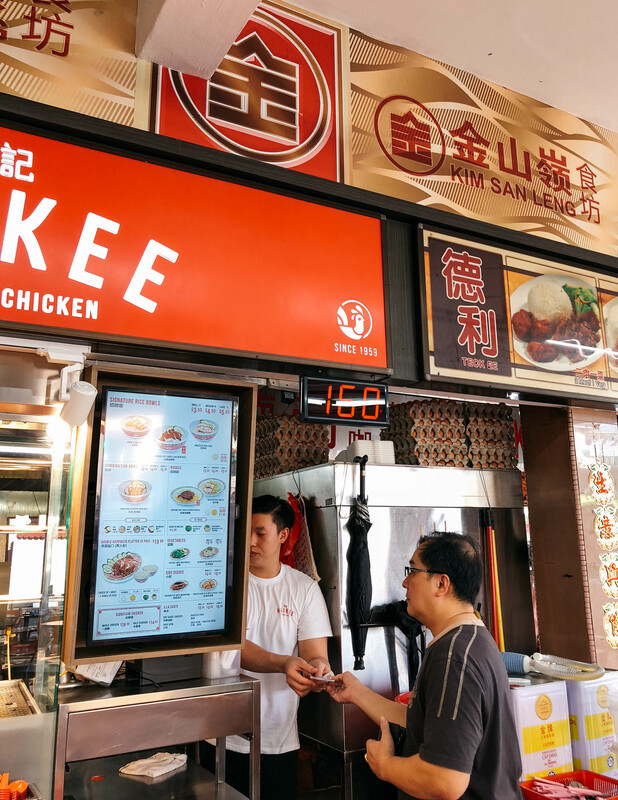 As for the reasoning behind the concept of Guey Ong (a Hokkien dialect for “Chicken King”), James recounted his time serving the RSN – that was when his colleagues started giving him the nickname. 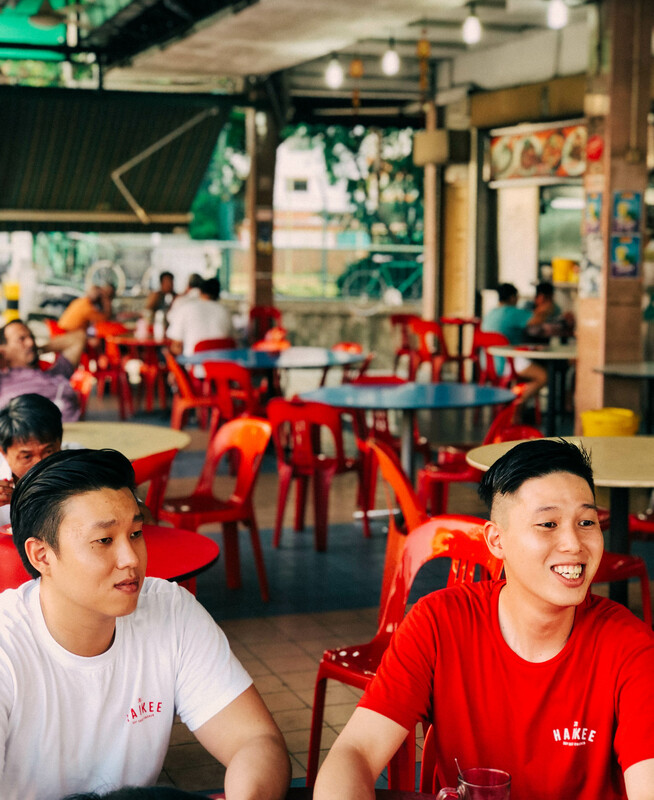 Although the diligent brothers grew up with Hai Kee, that didn’t mean that they automatically earn street credit as future successors of the business. In fact, when the brothers decided to rebrand the business, their father was initially apprehensive about it, but eventually gave them the green light. Both the brothers readily agreed that that taking over the business wasn’t an easy journey. As a 3rd-gen business owner, the pressure of keeping up with family traditions and business practices, while appealing to the newer customers is very challenging. It has always been hard satisfying the crowd of diverse customers, and some customers blatantly critique their food just because they’re young. The brothers said that they’ve heard of customers complaining that their food is no longer as nice just because their father is no longer the one behind the counter. Others have also said that they have turned into a franchise, so their products are now factory-made and are no longer fresh. Frustrated at such remarks, the Wang brothers emphasised that none of this is true, and they continually give their all to serve sumptuous soy sauce chicken rice to their customers. They added that while aesthetics have changed (in terms of the store’s new visuals and packaging), the recipe has remain untouched for the past 50 years. James also cited other challenges such as manpower crunch and high rental costs. As manpower is a pertinent problem in their field of work, the duo decided to focus on retention instead of recruitment. To do so, they made sure to build a strong rapport with their staff. This includes guiding them to think from the customer’s point of view, and focusing on employees’ individual strength to improve workflow and productivity. The family also regularly brings the staff out for a good meal, as a form of affirmation for their good work. Despite these challenges, heartwarming encouragement from their customers – both old and new – serves as a motivation for them to keep going. “Some even said our soy sauce chicken rice is better than those Michelin-starred ones!” said James, beaming. He added that good customer service is essential in converting customers into loyal regulars. Everyday, the hardworking brothers arrive at their respective stalls at 8am to begin their meticulous rounds of ingredients inspection. Checking the size of the chicken is very important, as the cooking time varies according to its size. They also check on the rice if it’s young or old grain, the temperature of the oven to ensure their goods are roasted perfectly, as well as the timing for the chicken to be flipped over in the soy sauce so that they’re evenly cooked. Every minute details are not glossed over. And at around 9.30am, most of the food are ready to be served but some eager customers would already be forming a queue at 9.15am. The lunch crowd typically arrives at around 11.30am. The duo would then be busy taking orders, serving food, and clearing plates throughout the day. By late afternoon, they start preparing for the looming dinner crowd and get busy washing the utensils, preparing more noodles, and concocting the chilli and their unique sha jiang ginger sauce. The evening rush starts as early as 5.30pm, and they will close at 9pm, or when they’ve sold out for the day. Since shouldering the responsibilities of the business, the brothers have experienced first-hand the sacrifices their father and grandfather have made for their family, as they toil for long hours. 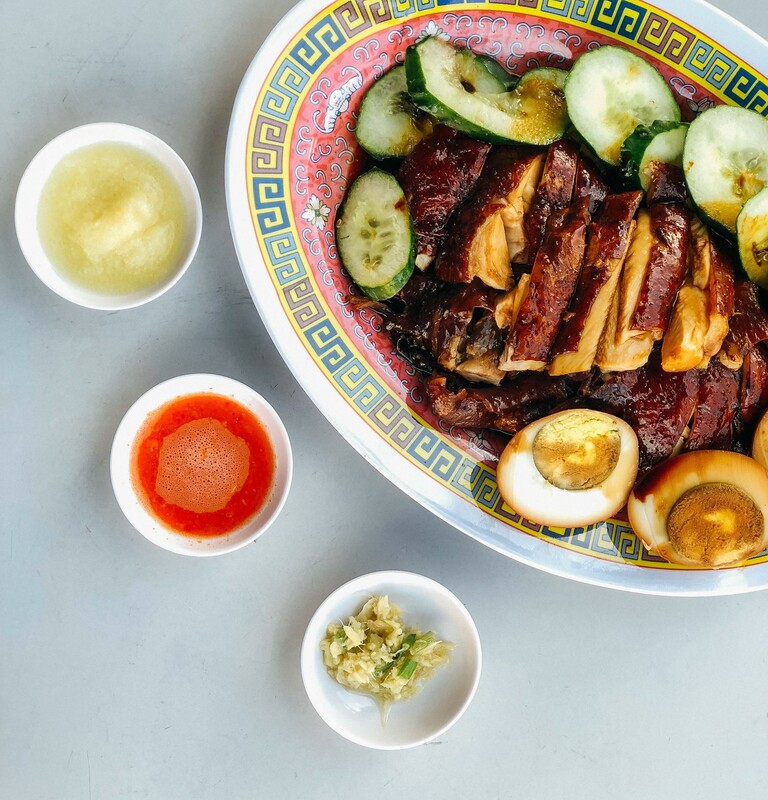 As this writer has exceeded the word count to praise the Guey Ong, read about their delectable soy sauce chicken here! You can follow them on Instagram here and Facebook here.